Written as an accessible introduction to the Catholic theology of divinization through the Liturgy, this remarkable study explains the claim that God transforms the Christian people through the Church’s Liturgy to share in his divine nature. This is a short collection of essays that serves as a coherent introduction to how God makes the faithful in the pews partakers in his divine nature through the action of the liturgy. An essential tool for acquiring a basic reading knowledge of ecclesiastical Latin. Used as a class text or independent study, this resource provides students with commentary and exercises to deal competently with the basic meaning of Latin texts. This book represents a fresh approach to presenting the sacramental theology of marriage with a broad scope and incorporates the invaluable insights of the Theology of the Body. A unique feature of this book is that from beginning to end it incorporates insights from John Paul II’s Theology of the Body, as well as his other writings in which he addressed marriage. Attention is also given to the Catechism of the Catholic Church and other recent magisterial texts pertaining to marriage so that the reader is presented with the Catholic Church’s most fully developed doctrine on marriage. 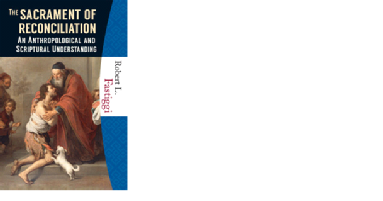 With the knowledge of a theologian and the skill of an historian, Robert Fastiggi links the Sacrament of Penance to its anthropological foundations, grounded in the recognition of human failure and the need for forgiveness. This anthropological foundation includes a brief overview of how non-biblical religions deal with sin and purification as well as the revelation of the human need for reconciliation presented in Sacred Scripture. He carefully unwraps the Old Testament and New Testament narratives that cover original sin, human rebellion, the need for reconciliation, conversion, forgiveness, and the remission of sin.